Get Digital Radio in your car speakers! 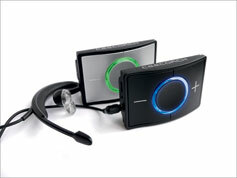 Our JustDRIVE Digital Radio car kit adds DAB radio to any car radio that doesn’t have it. If you love radio then GO DIGITAL! Our Digital radio car kits are conformance and recognised as an approved rigital radio receiver for the Digital Radio Tick Mark. Get your JustCONNECT kit fitted by us! We have a team of 40 nationwide engineers waiting to fit your new JustCONNECT kit.